Spend a few days in Satara Rest Camp, and hopefully you'll prove the old adage that Satara is lion country. While no sightings in the Kruger Park can be guaranteed, this region of the reserve is widely regarded as offering one of the best chances to encounter these majestic beasts. But besides its reputation for lion sightings, Satara offers visitors the chance to see a wide variety of other exciting wildlife and birds, as well as a range of other features and attractions that has made it one of the park's most popular camps. And while popular has translated into busy and bustling, it still offers a degree of escapism and tranquility in the various cottages and accommodation options, which are carefully arranged in a series of circles. There is also a popular camp site in the camp, and the recently completed day centre gives temporary visitors the chance to prepare food and relax without entering the heart of the rest camp. This rustic camp has a superb reputation among its regular visitors, and is a very good option if you're looking to visit a rest camp outside of the hustle and bustle of the far south. 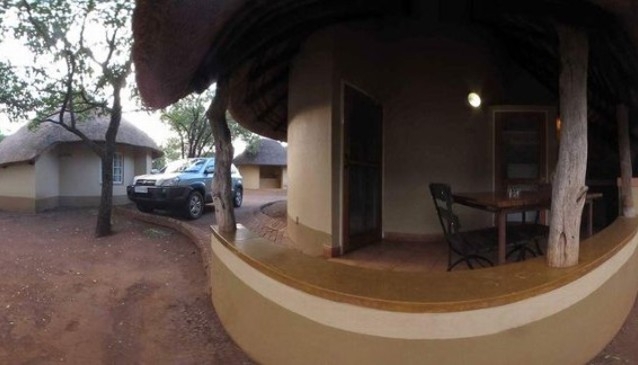 Satara, as one of the bigger camps in the Park, has a range of accommodation from camp sites to huts, cottages, family cottages and luxurious guest houses. So - there is something for all at Satara. There are a range of activities on offer to guests, including walks and game drives. The sightings board is updated after each drive, and typically lists at least one exciting or unusual encounter with some of the Kruger Park's acclaimed wildlife. Facilities at Satara are vast, and the camp offers various services designed to make your stay as comfortable as possible. There is also a very popular swimming pool, which includes a playground to keep the children busy after a long day in the car. Communication: public telephone, post box, internet, cellphone, limited DSTV in the Guest Houses. Day Visitors Picnic area , gas for hire. See Satara facilities and activities. Tshokwane 54km/2hr 30 minutes, Timbavati 26 km/1hr 40min away, Muzandzeni 32km/1hr 30min away, and Nwanedzi 25km/1hr away.